Once you discover the Danish art of hygge, you might even look forward to the onset of winter. Although it has no direct translation, hygge is the word used to describe a feeling of cosiness, wellbeing and contentment with all the simple things in life: cups of cocoa by the fire, casual candlelit dinners with friends or curling up with your cat while the rain pelts the window panes. The easiest way to create a feeling of warmth, comfort and hospitality in your interior is with tactile, natural materials. 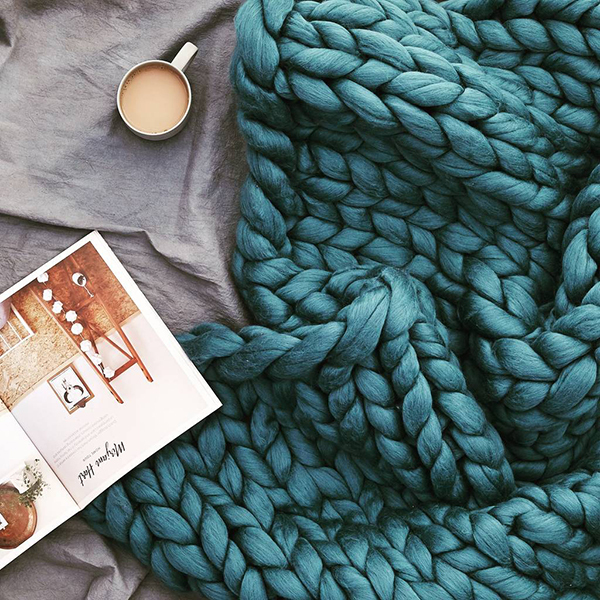 So here are 10 of the best wool blankets and throws for a cosy, hygge inspired home, all made in the UK. A colourful throw can instantly add personality to a bedroom or living room. RCA graduates Harriet Wallace-Jones and Emma Sewell set up their studio Wallace Sewell in 1990 and all their products are woven in the UK. They now sell their work across 300 stockists in 20 countries and have also designed seating fabric for the London underground. The Emmeline pinstripe lambswool throw is £260 from Wallace Sewell. 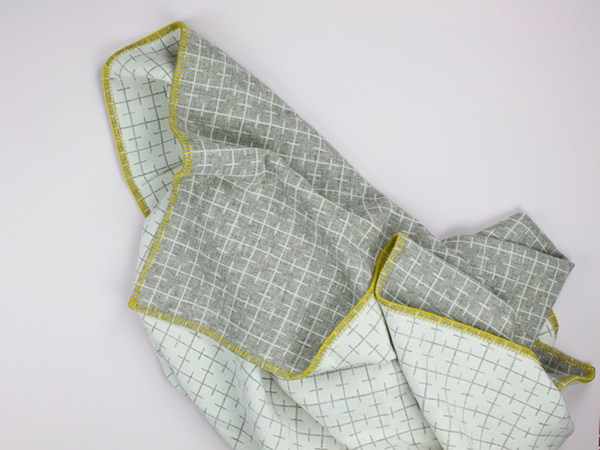 Eleanor Pritchard‘s Sourdough throw features limestone grey and white graphic pattern with a tumeric yellow trim. It is woven in West Wales from undyed British yarn – a blend of Welsh Mountain, Jacob and Suffolk Lowland wool. 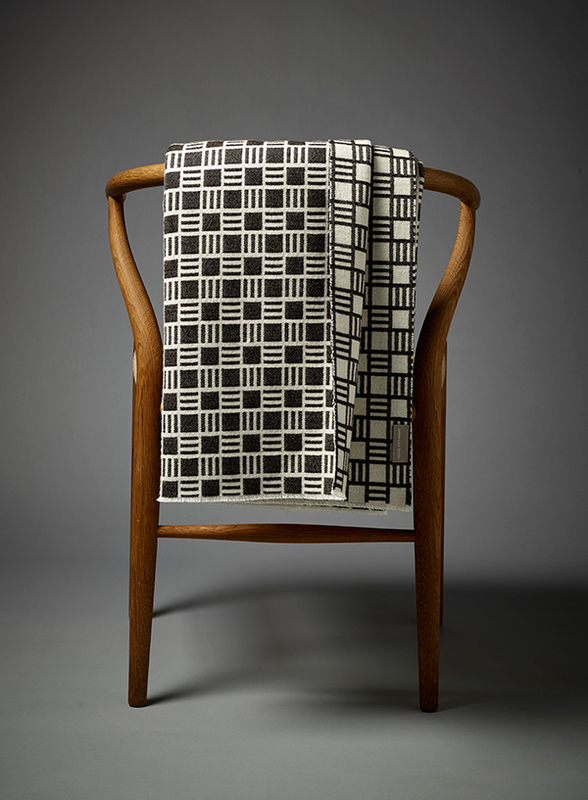 Eleanor’s designs are inspired by mid-century design and vernacular British textiles. Sourdough throw is £288 from Heal’s*. Throws and blankets are great for changing up the colours in a room, depending on your mood. 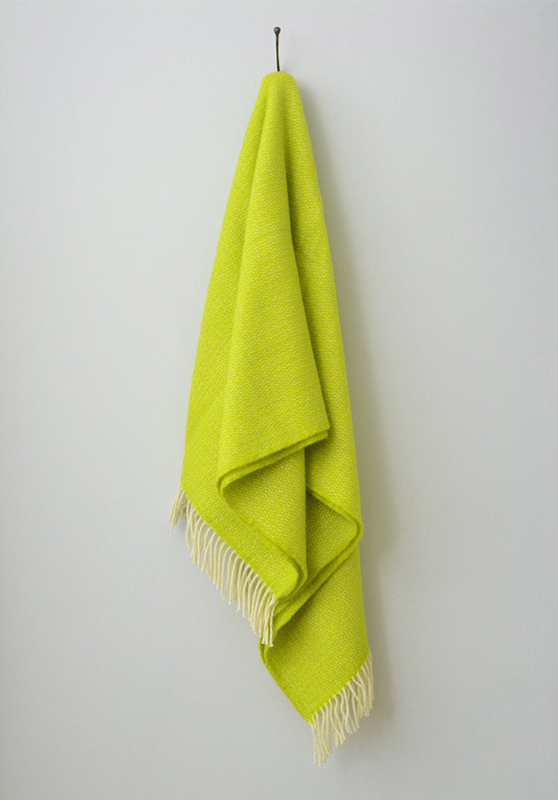 This citrus yellow and lime weave throw is £59 from The British Blanket Company, an online store started by brother and sister duo Joe and Bethan John. They are also the founders of the ethical homeware store Decorator’s Notebook. Izzy Lane set out on a mission to ensure the wool used in her products was entirely traceable. She saved 600 sheep from slaughter, male lambs and ewes that had miscarried or missed pregnancy and created her own flock in the Yorkshire Dales. 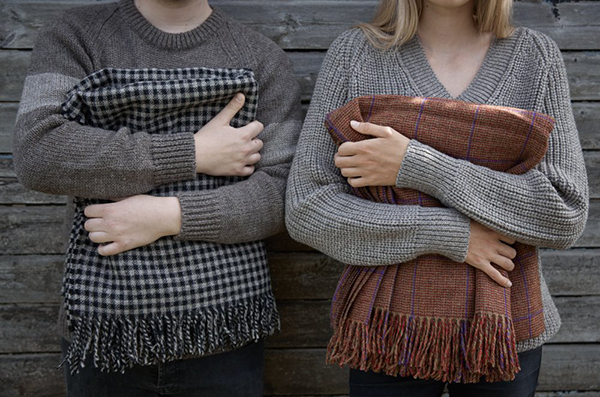 Izzy Lane throws are woven in the UK from Shetland wool £145. Read more about her story here. 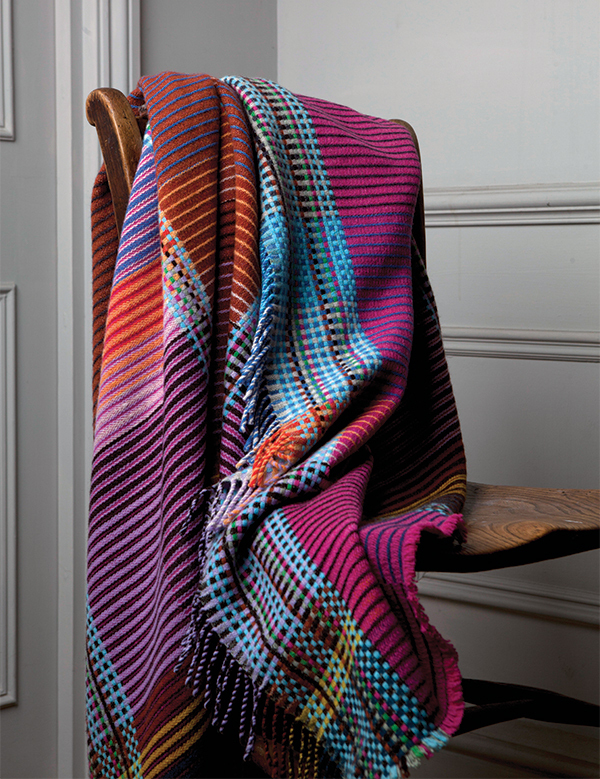 Anna-Lisa Smith textiles are woven at heritage mills in Lancashire and West Yorkshire. The Alex range is inspired by Portuguese ceramic tiles and also comes in black, grey, mint green, primrose yellow and navy, £185 from Anna-Lisa Smith. Anta is a homeware brand focusing on textile and ceramic products that are manufactured in Scotland. Anta’s green initiatives include the implementation of solar powered electricity since last year. Their factories are also heated with an underfloor system powered by their ceramic kilns. Above is the Cumberland throw £200 from Anta. 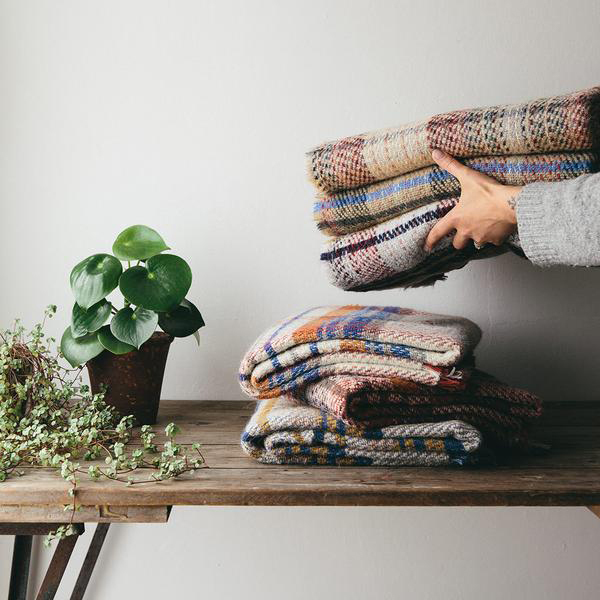 The Future Kept sells a beautiful selection of consciously made blankets and throws, including these British made 100% recycled wool blankets. 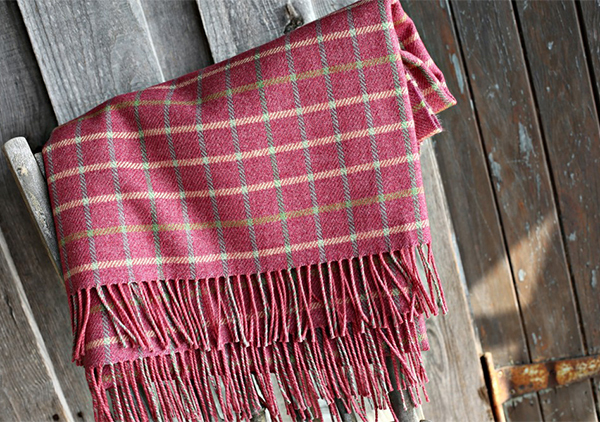 The blankets are woven in Wales near the Clwydian mountain range and are made from the excess wool leftover from the manufacturing of other blankets, such as this one. Recycled wool blankets are £18 from The Future Kept. Designs by Claire Gaudion are inspired by the seascapes and coastal landscapes of the Channel Islands. 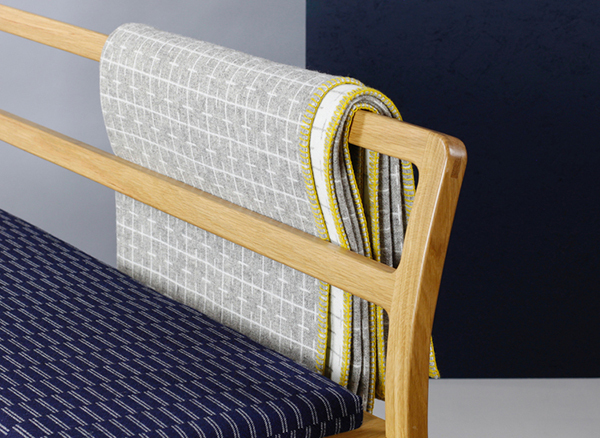 Her textiles are designed in rural Hampshire and produced by specialist mills in the UK. 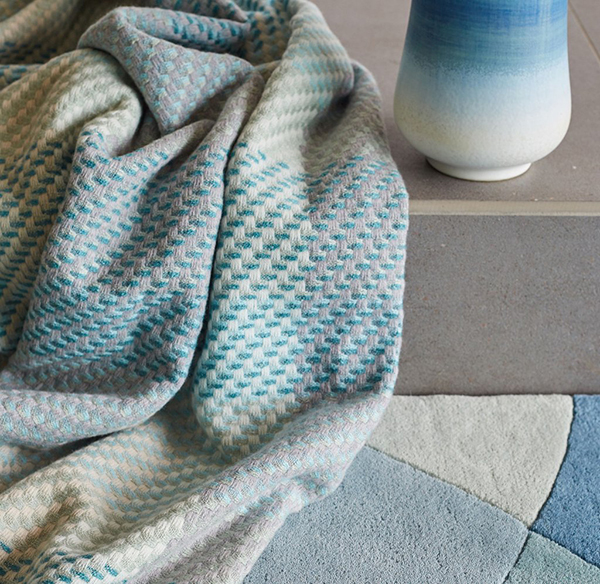 The beautiful Turquoise throw pictured is 50% lambswool, 25% silk and 25% superfine merino wool, £530 from Claire Gaudion. Bronte by Moon was founded in 1837 and their textiles are made in Guiseley, Yorkshire. 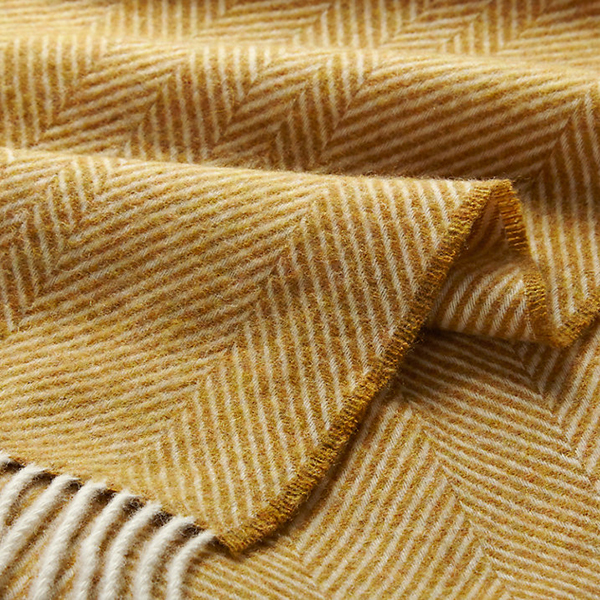 This herringbone design is 100% lambswool and comes in a number of colourways, including this golden honey shade. £89 from John Lewis. * Read more about where their wool comes from here.